Rosalie had a party to go to this week. One of her bestest friend’s had a tea party to celebrate her birthday. Obviously Rosalie had to get dressed up for the occasion. I love this dress. It’s so unusual. As you have probably noticed I am rather partial to a bit of patchwork. I think this makes a lovely winter outfit, especially when paired with super cosy woolly tights. Rosalie’s dress is from Monsoon. Her grey tights are from H and M. Her navy shoes are from start right. Rosie’s Bow is from the Bow boutique. We’ve joined in with two link up this week. 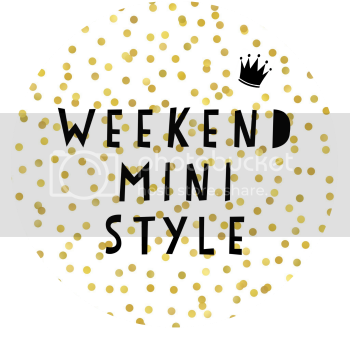 If you’d liked to join in too head over to This mama life to join in with the weekend mini style link and to Rebecca’s blog Clearly Bex to join in with Trendy Tot Thursday. We’d love to see you there! that dress is just so beautiful!! I adore the collar and flutter sleeves too! 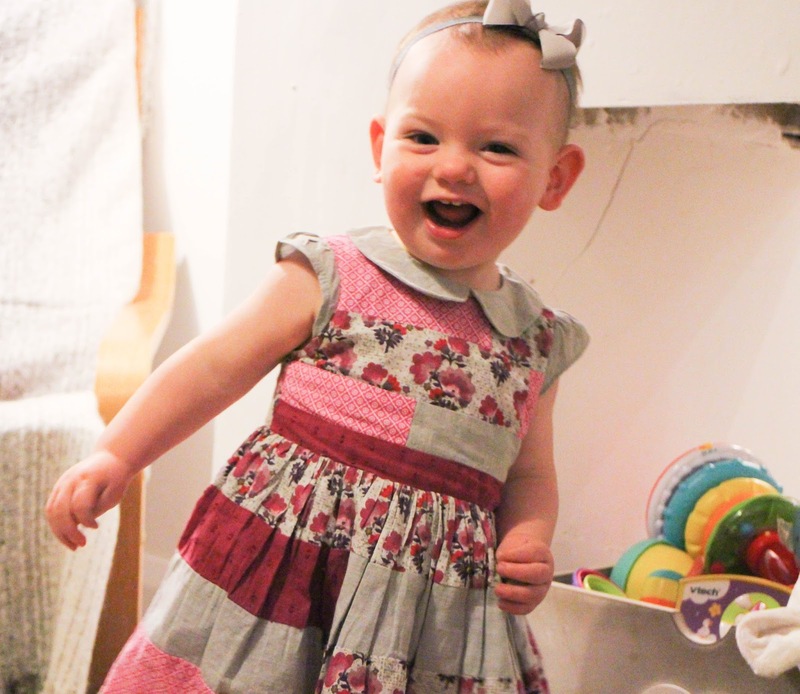 Perfect little party dress without being too sequin orientated! !